By now if you’re even a casual boxing fan you’re probably aware that on this day in 1942 the man simply known around the world as “The Greatest”, Muhammad Ali, was born in Louisville Kentucky. What better time than today to tell the story behind his infamous moniker. On February 25th 1964 in Miami Florida a 22-year-old Cassius Clay became the heavyweight champion of the world by defeating Sonny Liston in an upset…. 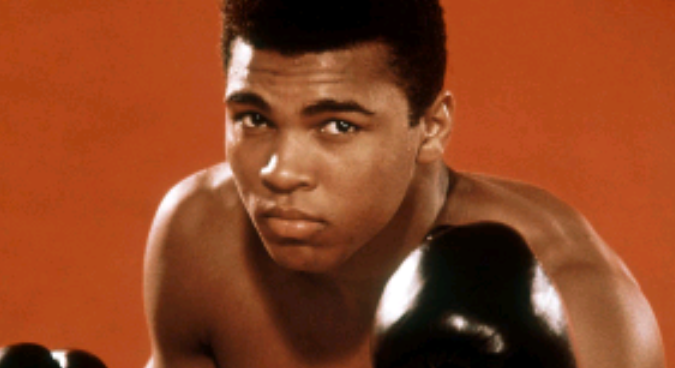 Muhammad Ali, then known as Cassius Clay, was an 8 to 1 underdog. Clay was a US Olympic gold medal winner in 1960 and 19-0 at the time. Clay used his superior speed to frustrate Liston. He controlled the first four rounds, but was forced to fight the fifth stanza nearly blind after a substance from Liston’s gloves had gotten in his eyes. He was able to escape unscathed by spending the round dancing around the ring. Clay came out in the sixth with his eyes cleared and dominated the round. Liston, having injured his arm decided not to answer the bell for round seven. Clay danced around the ring in celebration repeatedly shouting “I am the greatest”.